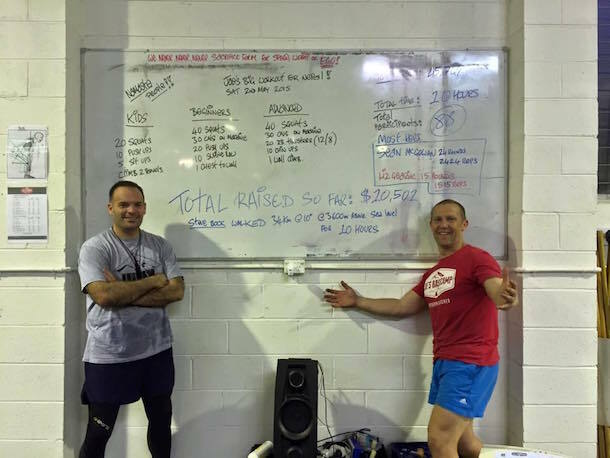 What an excellent day in the gym and great fundraising result for the people of Nepal. Huge thanks to the many, many people who contributed their time, effort and produce to help the day run really smoothly. Special mention to Stephen Bock who walked 34km at 3600m of altitude in our Altitude Training Room. As it stands currently we’ve raised approximately $16,000 which is fantastic and we’re still heading towards our goal of $20,000.